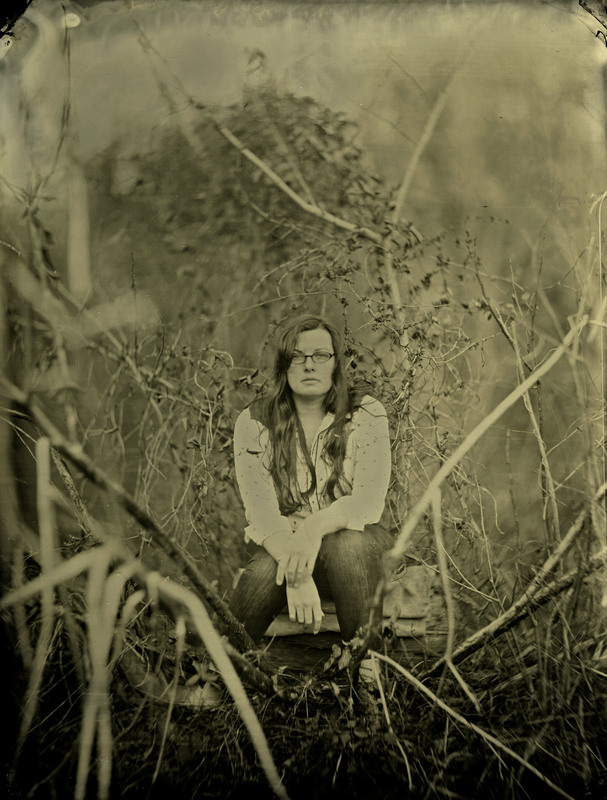 Tintype of Caren Lasseter made last weekend outside my studio in Taylors, SC. This is a whole plate (6.5″ x 8.5″) shot with an 1872 Ross portrait lens. Exposure 7 sec. during late afternoon. 19th Century wet plate collodion process.